Taking a good toddler photo is not as easy as it sounds. 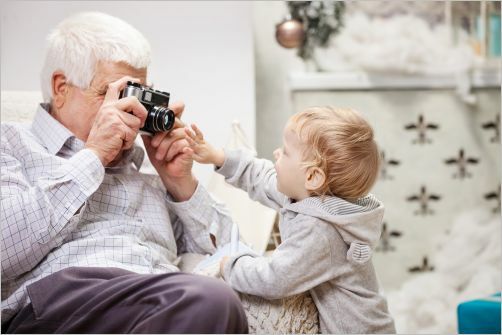 It can be a bit of a hit and miss affair; no matter how carefully you’ve set everything up, there are a hundred things that can go wrong when taking photos of your toddler. Most of the problem is that your subject is just so volatile. If there’s one secret to getting a good toddler photo, it’s this: take a thousand. With the advent of the digital camera, you don’t have to worry about wasting film: the only thing you waste by taking a plethora of pictures is memory on your SD card or hard drive, and you can get that back as soon as you delete the mediocre shots. So play trigger-happy. Sometimes in a dozen almost identical shots, taken seconds from each other, you may have eleven nothing-shots and one that is a wonderful keeper. You’ve caught your toddler’s rapidly changing expression, that split-second of charm that was only there for a moment. But don’t restrict yourself to just one angle, just one time. Ten shots from above, ten from below, five zoomed in, five zoomed out—the more you vary your parameters, the more likely you’ll hit on that winning combination and get the perfect toddler photo. If you take my advice and take a thousand photos when you want one perfectly cute photo, you’re going to need to be pretty free with the delete button. There’s no reason to save a hundred photos of your toddler that didn’t work out, taken during the same five minute span as the three photos that did work out. Save only the best, only the pictures that you absolutely love. If you’re trigger happy, there’ll be plenty of those. After you’ve deleted all the ‘scrap pictures’, what do you do with the ones you want to keep? Store them on a hard drive, or, preferably, store duplicate copies on several different hard drives so that if one fails you’ll still have your toddler photo treasure store. But how to enjoy them? It’s not as easy to pick up a hard drive and flip through photos as it was in the old days of old fashioned photo albums in every home. One very nice modern invention that tackles this problem—bringing our photo-troves out to the light—is the digital photo frame. 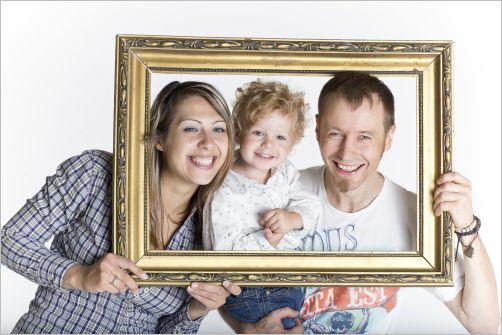 This frame sits on your bureau—or wall—like a regular photo frame, but rather than showing you just one picture it cycles through a whole set. When you want to change the set, you can. One good digital photo frame to start with is Nix’s 12 inch digital photo frame. It comes with a 4 gigabyte memory card, and you can put a lot of pictures on that. 12 x 9 inches is the dimensions of the entire frame, which leaves 9.75 x 7.25 inches for the actual photo display. The image is fairly clear, and you can view it from any angle in the room, unlike some computer screens. There’s another cool feature in this digital photo frame: it turns itself off when no-one is around, and turns on again when someone comes in the room, so saving quite a bit of power. This Nix frame also comes with a one year warranty, so if you have any problems during that time frame, you’re covered. If you don’t want to make any new purchases you can also display a collection of pictures as a screensaver on your computer. It’s always cheering to see a photo of your smiling toddler pop up when you’re having a dismal day. Just make sure you enjoy them; you didn’t take these masterpieces just to have them gather virtual dust on the hard drive.